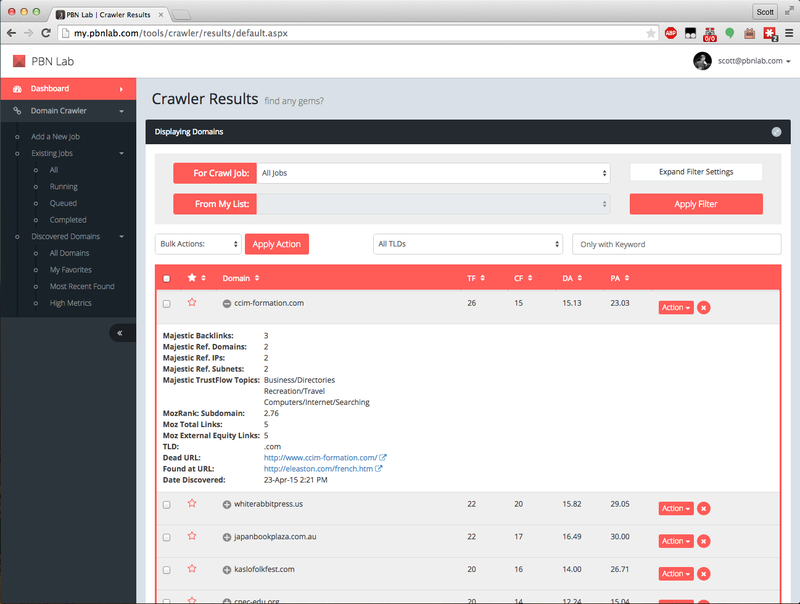 I’m excited to announce in the latest crawler engine, I’m now fetching the much loved TrustFlow and CitationFlow metrics (among others) from Majestic SEO. And as you’d expect, you can filter your results view on-the-fly to display only domains with great TF and CF – to eliminate all the rubbish domains in just a few clicks. One big step closer to public release!